"It's God's mercy I was born a Scotchman, for I do not see how I could ever have been contented to be anything else." According to the 2006 Census, 15.1% of the Canadian population (or 4,719,850 people) identifies itself as having Scottish origins. 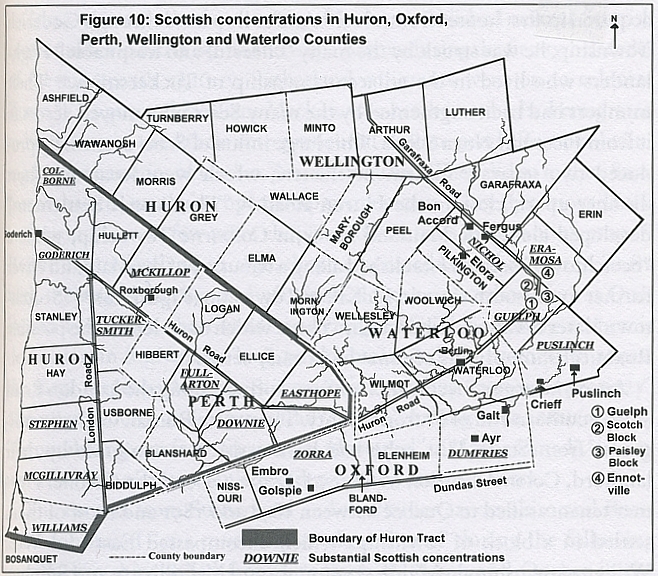 Seventeen percent of the Ontario population identifies itself as such, with over two million residents claiming Scottish background. Windsor's population, meanwhile, is 8% Scottish, making that the fourth largest ethnic group in the city behind French, English, and Irish. While Scotland itself harbours a tiny population of five million people, the worldwide population of the Scottish diaspora is six times that amount. Thirty-million people across the globe claim Scottish ancestry: Scotland's mass exodus began in the eighteenth century and remained strong until after the Second World War. Some of the people who emigrated were destitute, facing starvation at home; the only way to survive was to leave Scotland. Other emigrants were well-established and full of ambition, eager to make names for themselves on the new frontiers of the British Empire. Lowland Scots emigrated in the traditional pattern, in which the men went abroad first and then sent for the women and children once they had established themselves. The Gaelic-speaking Catholic Highlanders, however, moved to Canada as extended families, sometimes emigrating as whole communities. 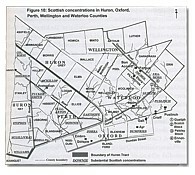 The Scots tended to settle together in communities where they could provide each other with mutual support and assistance. They remained ambivalent about their origins, romanticizing and sentimentalizing the Scotland they had left behind - perhaps because, in part, most of them had no intention of returning home. 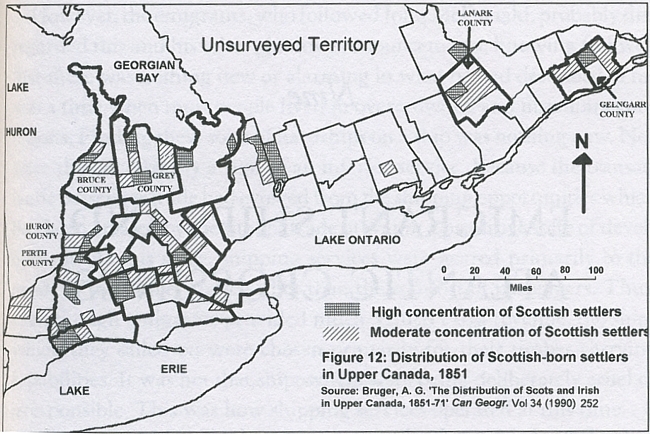 In Canada especially, the Scots distinguished themselves from other ethnic groups by the rapidity with which they assumed leadership among Canada's businessmen, politicians, and other people of influence in all aspects of society. Pioneers in every Canadian frontier - education, medicine, politics, publishing, finance, etc. - the Scots carved their traditions onto every institution in their new land.